In the game, players take on the role of one of four extreme sportspeople who get their kicks from racing to the tops of building as they are being demolished. Players run, jump, and fight their way across falling girders, rubble, and furniture as they aim to be the first to reach the roof... or the last one standing. 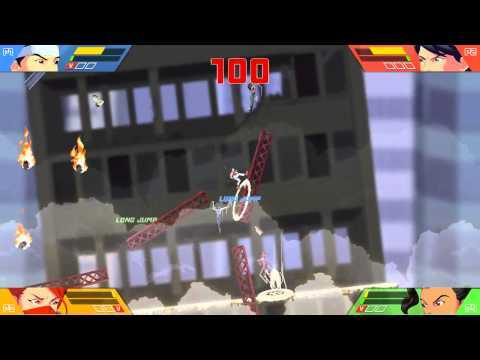 SkyScrappers was released on Switch 174d ago in the US and the UK. Notify me when SkyScrappers is available.